PowerDMS™ is a cloud-based company that helps organizations reduce risk and liability with a comprehensive compliance management solution. We provide the tools necessary to organize and manage crucial content and industry standards; and train employees with accountability measures – all reducing risk and maintaining compliance for an organization. PowerDMS™ redefines compliance management through collaboration, process and automation. BAE Systems GEOSPATIAL EXPLOITATION PRODUCTS (GXP®) BAE Systems GXP develops industry-leading geospatial-intelligence software for data management, image exploitation, geospatial production, and intelligence reporting. Quickly create and disseminate a common operating picture to first responders. 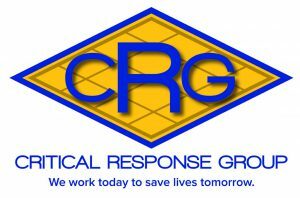 Critical Response Group was formed with one purpose: to make the public safer through leveraging the hard-fought lessons learned by the United States Special Operations community during the global war on terror. We accomplish this primarily through the development of Collaborative Response Graphics– visual representations of text-based emergency response plans that transform difficult to use written plans into highly-usable, geospatially accurate visual planning and response tools. Mutualink creates networks of interoperable communities that are, at an instant, capable of sharing voice, text, radio, video, data and telephone communications in a secure environment. The combination of affordability and the elegant simplicity of our offering changes the way that communities across the country communicate. At the heart of every community essential personnel from diverse organizations interact under a wide range of critical circumstances. While conventional solutions to communication interoperability focus on first responders, Mutualink’s revolutionary approach enables all critical organizations within a community to participate in incidents as required. Fairleigh Dickinson University believes that global education demands a curriculum that ensures that all of their students will be able to succeed in a world marked by interdependence, diversity and rapid change. By working together with other institutions and associations nationally and internationally, Fairleigh Dickinson University enhances its ability to offer a meaningful international and intercultural education to their students. Global learning is by its nature a collaborative endeavor. The synergy of individuals and groups within their institution working together toward making global learning real is vital. Similarly, the synergy of their institution working together with other institutions and associations nationally and internationally enhances their ability to offer a meaningful global education to our students. The Center for Public Safety & Security at Stockton University of New Jersey is an academic initiative in partnership with our State’s public safety and security sectors, and is dedicated to providing training, consulting and resources that support professional excellence throughout the industry. The Center is committed to fostering a collective culture of professionalism, purpose and doctrine across all disciplines responsible for the safety and security of the State’s citizenry. Working with our partners to conduct research and deliver training, the Center leverages the resources of Stockton University to enhance the capabilities, professional development and investment in our State’s public safety apparatus. Guardian Tracking provides a method for an accurate reflection of your employees’ performance, the good — not just the bad. The need for quick response and clearly defined company goals and expectations is paramount – no matter what industry you are in. Guardian Tracking provides an interactive documentation system that allows for easy access, tight security, and maximum employee privacy, while enhancing transparency and trust throughout your organization. Brosnan Risk Consultants Founded in 1996 by Patrick J. Brosnan, the firm provides services for a clientele of financial institutions, law firms, corporations, non-profit institutions, government agencies, and individuals and specializes in the development and analysis of information required by its clients for their decision-making process. Brosnan provides businesses and individuals with information, analysis, training, and advice to mitigate the growing risks associated with fraud, computer and network sabotage, electronic threats, and corporate protective matters. Dr. William M. Toms retired from the New Jersey State Police after a 25 year career distinguished by leadership positions in investigations, intelligence, internal affairs, training, and organizational development. Accented by academic achievements and a doctoral degree in human resource development from The George Washington University, Dr. Toms and his associates stand ready to provide individuals as well as government, corporate, and non-profit entities with the reliable and professional services they need to manage risk, mitigate problems, and increase their capabilities and return on investment in people, systems, and their strategic alliances. Resolution Group International (RGI) was formed by experienced military, law enforcement and education professionals to provide a specialized approach to conflict resolution and conflict resolution training. Our synergistic formula of ethical, verbal and physical skills is unique. The methodology was first devised to “win hearts and minds” overseas. Subsequently, it has been expanded and adapted for use in a wide-variety of conflict scenarios both in the U.S. and abroad. Fallon Associates, a licensed and bonded New Jersey Private Investigation Company, was founded by James Fallon, a 26 year veteran and retired-Major of the New Jersey State Police. Throughout his accomplished career with the NJSP, Fallon amassed broad experience in all facets of administration and command operations including investigations and internal affairs. As Commanding Officer of New Jersey State Police Investigations Section, Fallon orchestrated many successful high level investigations in forensics, violent crime, computer crime, casino gaming, narcotics, organized crime, and street gang intervention, as well as refining crime scene investigation techniques and evidence handling procedures. Adam Safeguard Adam is the architect and owner of the Forensic Abstract, a background program to identify fraudulent statements, claims, and allegations. Widely accepted since 1991, this product has been utilized to examine over 10,000 medical malpractice claims. Lawsoft Created for Law Enforcement agencies, the LawSoft CAD/RMS system is a scalable database application that provides your agency with reliable, real-time data and unsurpassed search capabilities that allows searches from anywhere in the system. LawSoft CAD/RMS encompasses Computer Aided Dispatch, Record Management, Report Writing, GIS mapping and an AVL (Auto Vehicle Location) component that resides in the GIS portion of the system. CompStat / Crime mapping features also utilize the GIS maps for graphical data reporting. The team at Highlands Forensics has over 130 years of law enforcement experience and 70 years in forensics and crime scene experience. The owners of the company together with the associates have investigated some of the most high profile cases in the United States in the last 30 years and are regarded as leaders in the field of Forensics and Crime Scene Investigations.